Hale Bradt is the author of Wilber’s War (abridged): An American Family’s Journey through World War II (December 7, 2016). As a Korean War veteran and an astrophysicist retired from M.I.T., he once searched for black holes, but turned to searching for family and wartime history. He has been intrigued by the Bradt family story for more than three decades, interviewing relatives, academic and military colleagues, and a Japanese officer against whom his father fought in the Solomon Islands. His discovery of his father’s letters from the Pacific gave him an unusual basis for exploring new aspects of World War II history, as he scoured the National Archives and even visited the Pacific battle sites where his father fought; there, he found the artifacts and people his father had known and written about. As a history buff and one who remembers WWII, Bradt is well qualified to provide a new context about a country at war. 1. What really inspired you to write your book, to force you from taking an idea or experience and conveying it into a book? Long after World War II, I came upon a few of my soldier dad’s (Wilber’s) wartime letters from the Pacific Theater. I found them to be of high literary quality: descriptive, poetic, loving, humorous, and technically accurate. Since, he had committed suicide shortly after returning home after the war, I realized then and there that if I could find more such letters, I would have a window into his life and psyche, into the Pacific War from the army perspective, and into the effects of war on families on the home front. Eventually, I found some 700 letters he had written, mostly to his wife, Norma, his parents, and his two children. 2. What is it about and whom do you believe us your targeted reader? It tells the story of a chemistry professor and National Guardsman who went to war as an artillery officer. He was overseas for three full years, went through three phases of combat in the Solomon Islands, New Guinea, and the Philippines and, at the war’s end, commanded an infantry regiment that was about to storm the beaches of mainland Japan. He was wounded twice and earned three Silver Star medals for personal heroism. It is also a story of his love for my mother, Norma, who faced great challenges of her own: supporting Wilber overseas with letters and shipments of needed items, looking after her children, managing the family finances, and dealing with her own infidelity that resulted in a pregnancy. It is a book for military families, including the spouses of service persons, and of course for those interested in the history of the Pacific War. Its army focus is in contrast to the oft-heard marine and navy accounts. 3. What do you hope will be the everlasting thoughts for readers who finish your book? What should remain with them long after putting it down? (1) A visceral memory of a three-year wartime odyssey through the western Pacific and (2) an awareness that war is terribly damaging to both the soldiers who are directly engaged and those who fight it on the home front. 4. What advice or words of wisdom do you have for fellow writers? Interview the potential subjects of your writings and others associated with them early while they are still with us, and collect letters and other documents about them while they are still available. I first came upon my dad’s letters in 1980 when his siblings and many of his military and academic colleagues were still alive. My mother was still living at the time as were several of her siblings. I even interviewed a Japanese colonel who commanded the battalion that directly opposed my dad’s unit. Getting a sense of place is important also; I was able to visit the Pacific battlefields where my dad fought and met people he knew in the Philippines and New Zealand. All this is included in my book. 5. What trends in the book world do you see and where do you think the book publishing industry is heading? I have little experience in the industry, so I have little to offer, other than to note the increasing proliferation of publishing and marketing channels and the complexity of dealing with them. These can be overwhelming to the novice author. I have published two academic books with Cambridge Univ. Press, but this work, Wilber’s War, was published by myself through my one-man firm, Van Dorn Books. The first version of Wilber’s Was was a trilogy. Despite good reviews and three awards including two silver awards, it has sold only moderately well – its size is more than most readers want. This newer one-volume distillation, Wilber’s War (abridged) should fare better. 6. What great challenges did you have in writing your book? Except for one hurdle, I do not look back on the project as a series of challenges, because I had so much fun doing it, visiting and interviewing relatives, searching for photos and documents, visiting the Pacific battlefields. Of course, getting it on paper was a large job but I did it a bit at a time over the past few years. The one huge hurdle for me was whether or not to tell Norma’s story in full. One of my sisters had and still has deep reservations about the morality of my doing so. In my heart, I had those same reservations and, for decades, delayed putting it into publishable form. But as another sister said: “Hale, you must do this; it is everyone’s story.” So, I did. 7. If people can only buy one book this month, why should it be yours? This work captures wartime in a factual dispassionate manner, not overly dramatized, as is so often the case. It exposes the inner thoughts of a soldier hero who could not go on with post-war life. It also reveals the trials of his lover on the home front. It is the story of two heroes—one male and one female— of World War II. What Will Get People Interested in Your Book? 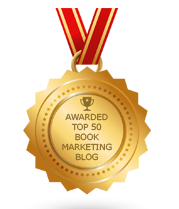 Are You A Shameless Book Marketer? How Should Authors Sell Themselves? Do You Think Like A Book Marketer? Tweet No. 43,265: Does Twitter Help Authors? Why Should Writers Take A Break? Why Are Digital Books Losing Ground?